We all know buying a home can be an expensive business but selling comes with a pretty hefty price tag too. Although a few will opt to sell their home privately, the overwhelming majority of people will use an estate agent. Estate agent fees can vary wildly (between 0.75% and 3.0% of the agreed selling price + VAT) depending on the type of contract you choose, but the current average high street price is estimated between 1.5% and 1.8%. Given that the current average property price in the UK is worth around £220,000, the fee on such a sale would amount to well over £3,000. It’s also worth bearing in mind that some estate agents will quote a fee excluding VAT costs (currently rated at 20%), so always make sure that the charge is clearly stated. Remember, you’re perfectly allowed to try and negotiate on fees. We’d always recommend sellers try and get agents to agree to a fee of 1%+VAT. It’s also important to read the contract carefully for any hidden marketing costs. Estate agent contracts can be complicated and may include some clauses you really don’t want to agree too. Before signing anything read our guide on what to watch out for. Online agents can often be considerably cheaper than their high street counterparts, charging anything between £400 and £1,000 on a sale. The disadvantages can be that estimates are often based using online data that excludes local specialised knowledge, viewings are usually left to individual sellers to conduct and the online agent isn’t incentivised to secure the best price, which may be much more than what you have saved in commission. Nevertheless, for those with time who wish to take an active role in selling their home and they are confident that it will sell quickly then the savings can be significant. Looking to appoint an online agent? Our online agent comparison table can help you compare agents and figure out the right package for you. Conveyancing costs can vary upon whether you are being charged on a fixed fee or hourly basis (try to avoid the latter). In most cases however, the fee is linked directly to the value of a property and can cost between £500 and £1,500. 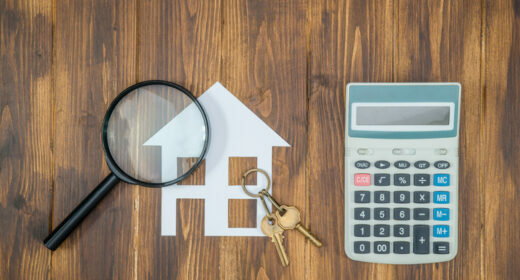 Make sure your quote is itemised so as to avoid ‘hidden extras’ such as PI contribution; postage, photocopying and phone calls; filling out the Stamp Duty Tax return; dealing with your lender and dealing with leasehold property (it’s worth noting conveyancing for leasehold properties tends to be more expensive). Most of the above should be regarded as a business overhead or accounted for within the solicitor’s basic fee so always take time to compare quotes and always read the small print! Unless you have paid off your mortgage or you move it to the new property (known as porting, find out more with our guide on moving properties with a mortgage) you may be subject to an early repayment charge. The amount you pay will differ according to any remaining balance, so always check whether you have such a provision in your mortgage and, if so, the ability to pay it before you put your house on the market. You are required by law to have an Energy Performance Certificate for your property before you sell it and this can cost between £60 and £120. The certificate grades houses according to how energy efficient they are (with A being the highest and G the lowest) and suggests ways in which to improve your rating together with associated costs. These can be purchased via your estate agent (usually considered the more expensive option) or by using an independent vendor on the government EPC register. It’s worth noting that as of April 2018 properties with an EPC rating of G or F will not be allowed to be let out. As such if you’re property has a poor rating when you come to sell you could be limiting the number of buyers as landlords will not be interested. It’s also worth remembering that some removal companies will offer a decent discount on advance bookings so always compare prices. Find three removals firms and ask them to visit your home and give you a quote. Don’t forget to be explicit if you have a loft or a shed that also needs clearing; if it’s missed at the quote stage you could be in for an unexpected cost and time delay on the day. By booking your removals firm early and for early or mid week (rather than Friday) you may also get a discount. See further advice on how to find the right removals company including important questions to ask your removals company. It’s always a good idea to purge your possessions of clutter before you move and thereby drive the price down. If you’re looking to clear out items, consider using our partner’s household rubbish removal service, AnyJunk, who send two crew members to clear junk or bulky waste from anywhere on your property. They can arrange same day collection in most cities and on average 95% is diverted from landfill. They are the UK’s largest rubbish removals operator and are fully insured and licensed. Rightmove, Zoopla: which is best?